This Volkswagen Tiguan delivers a Intercooled Turbo Regular Unleaded I-4 2.0 L/121 engine powering this Automatic transmission. TITAN BLACK, NAPPA LEATHER SEATING SURFACES, SILK BLUE METALLIC, DRIVER ASSISTANCE PACKAGE -inc: Adaptive Cruise Control w/Stop & Go, Light Assist, automatic high beam control, Area View 360, Lane Assist. This Volkswagen Tiguan Features the Following Options 3RD ROW PACKAGE , Wheels: 18 Nizza Alloy, Wheels w/Silver Accents, Trunk/Hatch Auto-Latch, Trip Computer, Transmission: 8-Speed Automatic, Transmission w/Driver Selectable Mode and Tiptronic Sequential Shift Control, Tires: 235/55R18 All-Season, Tailgate/Rear Door Lock Included w/Power Door Locks, Systems Monitor. Stop By Today Come in for a quick visit at Sherwood Park Volkswagen, 2365 BROADMOOR BLVD, SHERWOOD PARK, AB T8H 1N1 to claim your Volkswagen Tiguan! This Volkswagen Tiguan delivers a Intercooled Turbo Regular Unleaded I-4 2.0 L/121 engine powering this Automatic transmission. Window Grid And Roof Mount Diversity Antenna, Wheels: 18 Nizza Alloy, Wheels w/Silver Accents. This Volkswagen Tiguan Features the Following Options Trunk/Hatch Auto-Latch, Trip Computer, Transmission: 8-Speed Automatic, Transmission w/Driver Selectable Mode and Tiptronic Sequential Shift Control, Tires: 235/55R18 All-Season, Tailgate/Rear Door Lock Included w/Power Door Locks, Systems Monitor, Strut Front Suspension w/Coil Springs, Streaming Audio, Steel Spare Wheel. Stop By Today Stop by Sherwood Park Volkswagen located at 2365 BROADMOOR BLVD, SHERWOOD PARK, AB T8H 1N1 for a quick visit and a great vehicle! This Volkswagen Tiguan delivers a Intercooled Turbo Regular Unleaded I-4 2.0 L/121 engine powering this Automatic transmission. TITAN BLACK, NAPPA LEATHER SEATING SURFACES, R-LINE PACKAGE -inc: R-Line Exterior Design Package, bumpers and front grille, Stainless Steel Pedals, R-Line Leather-Wrapped Heated Sport Steering Wheel Multi-function, Aluminum Door Sills w/R-Line Logo, Wheels: 19 Trenton Alloy, Black Headliner, Tires: 255/45R19 100H All-Season, DRIVER ASSISTANCE PACKAGE -inc: Adaptive Cruise Control w/Stop & Go, Light Assist, automatic high beam control, Area View 360, Lane Assist. This Volkswagen Tiguan Comes Equipped with These Options Wheels: 18 Nizza Alloy, Wheels w/Silver Accents, USB Audio Input (x3), Trunk/Hatch Auto-Latch, Trip Computer, Transmission: 8-Speed Automatic, Transmission w/Driver Selectable Mode and Tiptronic Sequential Shift Control, Tires: 235/55R18 All-Season, Tailgate/Rear Door Lock Included w/Power Door Locks, Systems Monitor. Stop By Today Stop by Sherwood Park Volkswagen located at 2365 BROADMOOR BLVD, SHERWOOD PARK, AB T8H 1N1 for a quick visit and a great vehicle! This Volkswagen Tiguan delivers a Intercooled Turbo Regular Unleaded I-4 2.0 L/121 engine powering this Automatic transmission. Window Grid And Roof Mount Diversity Antenna, Wheels: 18 Nizza Alloy, Wheels w/Silver Accents. This Volkswagen Tiguan Comes Equipped with These Options Trunk/Hatch Auto-Latch, Trip Computer, Transmission: 8-Speed Automatic, Transmission w/Driver Selectable Mode and Tiptronic Sequential Shift Control, Tires: 235/55R18 All-Season, Tailgate/Rear Door Lock Included w/Power Door Locks, Systems Monitor, Strut Front Suspension w/Coil Springs, Streaming Audio, Steel Spare Wheel. 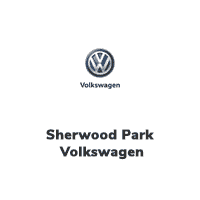 Visit Us Today Stop by Sherwood Park Volkswagen located at 2365 BROADMOOR BLVD, SHERWOOD PARK, AB T8H 1N1 for a quick visit and a great vehicle! This Volkswagen Tiguan boasts a Intercooled Turbo Regular Unleaded I-4 2.0 L/121 engine powering this Automatic transmission. Window Grid And Roof Mount Diversity Antenna, Wheels: 18 Nizza Alloy, Wheels w/Silver Accents. This Volkswagen Tiguan Features the Following Options Trunk/Hatch Auto-Latch, Trip Computer, Transmission: 8-Speed Automatic, Transmission w/Driver Selectable Mode and Tiptronic Sequential Shift Control, Tires: 235/55R18 All-Season, Tailgate/Rear Door Lock Included w/Power Door Locks, Systems Monitor, Strut Front Suspension w/Coil Springs, Streaming Audio, Steel Spare Wheel. Stop By Today Come in for a quick visit at Sherwood Park Volkswagen, 2365 BROADMOOR BLVD, SHERWOOD PARK, AB T8H 1N1 to claim your Volkswagen Tiguan!